With warmer weather and longer days on their way, many homeowners take advantage of the conditions to start the renovations they have been planning for a while. 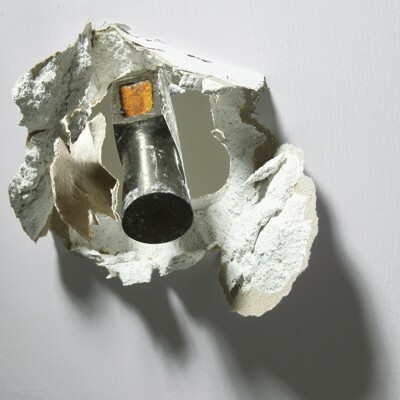 Whether you choose to handle the remodel on your own or opt for professional help, there’s one safety issue that should stay at the front of your mind: asbestos. If a home was built before the 1980s, it may contain asbestos-contaminated construction products. Renovations may accidentally release asbestos into the air. If inhaled, these fibers can lead to serious diseases, such as mesothelioma and lung cancer. Once diagnosed with mesothelioma cancer, the survival rates are typically low. On the bright side, it’s certainly possible to complete home renovations without creating any asbestos exposure hazards. Because no new kitchen or bathroom is worth a serious health risk, it’s important to take several safety precautions during the process. We know you’re excited to give your home some changes – but don’t be so excited that you overlook necessary safety measures. Before touching anything, get a professional inspection. You can’t spot asbestos with your naked eye. That’s why it’s essential to have a trained asbestos inspection team take samples of potentially contaminated products, then have them tested in a laboratory. It doesn’t take long, it’s more affordable than you think, and in a best-case scenario, you won’t have to make any adjustments to your remodeling plan. Develop an action plan. If the inspection does reveal asbestos in your home, you’ll need to develop an action plan for each contaminated item. Sometimes this plan is as simple as “leave it alone and tell all members of the home not to disturb it.” However, if the fibers are loose, this plan needs to be more extensive. If an asbestos-containing product in your home is friable (loose), an abatement company will need to come out and seal it off or replace it. Renovate with caution. Even the most basic of construction activities has the potential to release asbestos from a contaminated product. Sawing through walls, tearing up carpet, cutting drywall and replacing tiles can all release asbestos into the air. Never perform construction on any materials that you know contain asbestos, and always have an abatement team address any threats before you begin renovations. If you hire a professional remodeling crew, make sure they’re certified to handle asbestos. Choose asbestos-free home remodeling materials. Sad to say, but asbestos isn’t banned in the United States – even though it’s a known carcinogen. Roofing materials, vinyl tiles, home insulation products, and even potting soils can still contain the fibers. To keep your home free from the toxin, be sure to purchase products from brands that use alternatives. If you follow these guidelines, you can enjoy your newly remodeled rooms without the stress of an asbestos exposure threat. However, if other experiences in your life have brought you in contact with the fibers, we can help. Our organization offers free information and patient advocate services; if you have been diagnosed with an asbestos-related disease, we can work one on one with you to help you find local doctors, treatment centers and support groups. 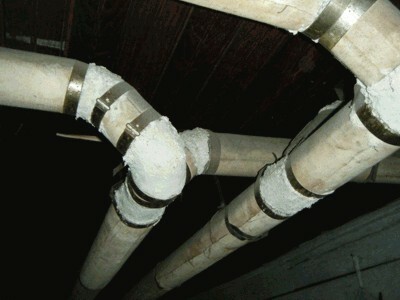 Years ago, it was common practice to insulate heating pipes in basements with asbestos. Have you seen pipes like these in your home?